Fed up with wearing glasses and contact lenses? away from putting it aside for good. Wearing glasses all the time can feel frustrating. That’s why many people opt for Lasik surgery to go back to the life they had before they lost vision. However, not all people can afford this treatment in their own country. 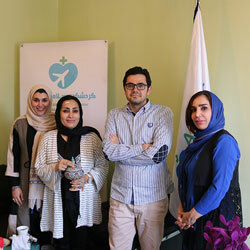 In Iran, we offer some of the most competitive and transparent prices to make your surgery simple and affordable. 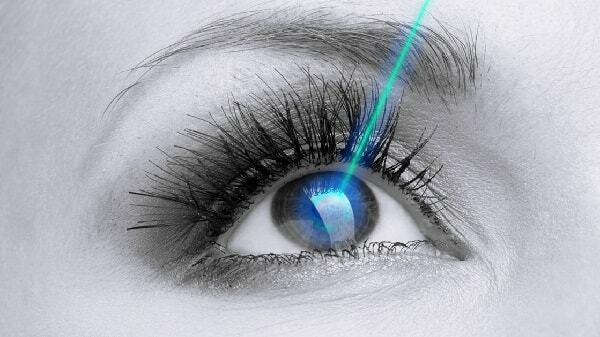 The term LASIK, stands for Laser-Assisted In Situ Keratomileusis. It is a commonly performed surgery for treatment of nearsightedness, farsightedness and astigmatism. A surgical procedure, LASIK is intended to reduce a person’s dependency on glasses or contact lenses. In LASIK, the form of the cornea is changed permanently in order to improve the person’s vision. It is an outpatient surgical procedure that usually takes about fifteen minutes per eye. As with any surgery, there are risks associated with LASIK. That’s why it is important that before having the procedure, the person, be fully informed about the risks and outcomes of the surgery. Even if the person is a suitable candidate for the procedure, it still can result in complications. Though very rare, these complications include dry eyes, sensitivity to light, blurred vision, and other visual symptoms, such as double vision. Such symptoms are commonly mild and temporary, but, they can turn into severe and permanent conditions, leading to loss of vision for the patient and consequently interfering with the usual activities. In addition to that, the patient’s vision may not be fully corrected after the surgery and may not last. It can be worsened over time and may require vision correction and further treatment to get the desired outcome. Some patients may still need to wear glasses after the LASIK surgery to perform certain tasks. LASIK also is inefficient to treat presbyopia (difficulty with near vision that comes with aging). However, reviews from clinical data showed that the benefits outweigh the risks when used properly and on the right patients. As a result, most LASIK patients report being satisfied with the results of the surgery. The doctor will inform the patient about the risks and benefits of a LASIK surgery, and other possible alternatives to the surgery. The surgeon also will provide information to the patient about what to expect before, during, and after the procedure. it is important for the patient to learn the facts about the outcomes before undergoing the surgery. For a safe and effective outcome, the surgeon carefully evaluates the patient to determine if he or she, is the right candidate for a LASIK. Factors that may prevent a person from being a good candidate for LASIK include having changes in contact lenses or glasses prescription in the past year, having a condition such as diabetes, taking medications that may affect wound healing, or having a current or past history of eye disease, such as glaucoma, herpes infection or inflammation inside the eye. A history of eye injury or previous eye surgeries may also make the patient non-eligible for the surgery. Next, eye measurements and check-ups are performed on the patient for dry eyes, large pupils and thin corneas, since these conditions may lead to serious complications. It is also requested that the patient informs the surgeon or the doctor, about any eye or other medical conditions, because it may result in unsatisfying results. First, the patient is asked to lie on the back and remain still. Topical eye drops are used to numb the eye, so the patient does not feel pain. Also, the area around the eye is washed and cleansed. He or she may also be given a sedative to help relaxation. Then, the surgeon uses an instrument called lid speculum to hold the eyelids open. Then a ring is placed on the eye that creates suction on the cornea. The patient may feel pressure and experience dimming of the vision at this point in the surgery. Once the ring is firmly in place the surgeon attaches a special device called a microkeratome to the suction ring. Using the blade on the microkeratome, the surgeon creates a corneal flap by cutting approximately the outermost of the cornea and lifts it carefully to one side. Once the suction ring in microkeratome is removed, the surgeon uses pulses from a computer-controlled exciplex laser to reshape the cornea by vaporizing tiny portions of its interior. This part of the procedure usually takes less than one minute. The surgeon then places the corneal flap into its original position and observes the eye for several minutes to ensure bonding. Stitches are not used in this type of surgery, because the cornea bonds and heals fast. Finishing the procedure, the surgeon administers antibiotic drops and place a shield over the eye to prevent the patient from rubbing it or from putting pressure on it while the patient is asleep. Since the patient cannot drive immediately following the procedure, he or she needs to make arrangements for a ride home. The patient should also keep clinical documents of the surgery in case a cataract surgery becomes a necessity in the future. They would help doctors calculate the lens implant power. Iran’s ophthalmology has experienced massive improvements in recent years. It benefits from highly advanced clinics, skilled doctors and an enormous number of successful surgical treatments performed on a daily basis. Currently, there are many surgical treatments offered for various eye illnesses and operations, including LASIK surgery. 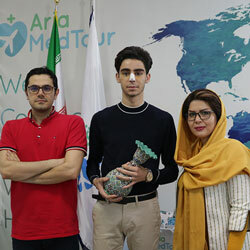 Low cost of LASIK surgery in Iran compared to clinics in other countries, availability of highly skilled surgeons and experienced paramedical staff, are among the top reasons why Iran can be chosen as the preferred place for this eye treatment. 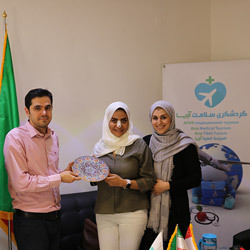 Health centers that perform LASIK in Iran, are equipped with the latest technologies and are widely located in cities of Tehran, Shiraz, Tabriz, Mashhad, Isfahan and Kish. Depending on where and in which country the surgery is performed, LASIK costs vary significantly. 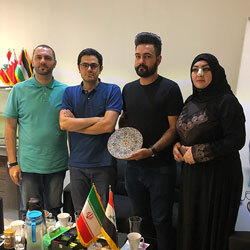 Fortunately, because of the availability of specialized eye clinics and ophthalmology specialists, the price of LASIK surgery in Iran is a low fraction of its prices in other countries. 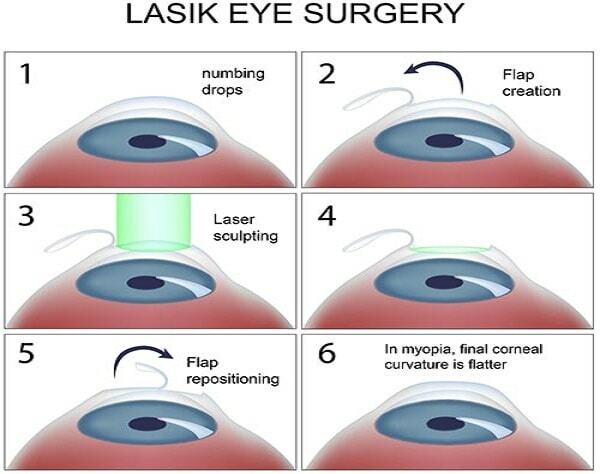 LASIK surgery is an outpatient procedure in Iran and costs approximately $550 per eye. Costs of LASIK surgery in other countries are significantly higher. The average cost of LASIK surgery in the United States is approximately $2,100 per eye. In the UK, the LASIK, costs between £1,200 to £2,700 per eye for an outpatient procedure. If you are looking for more information on LASIK surgery in Iran and planning for an affordable price, please do not hesitate to message us or fill out the online inquiry. we will contact you to provide you with detailed information regarding your inquiry.